PLANET in PERIL, your "one-stop shop" for the truth about our planetary crisis. : Proposed fossil fuel development threatens yet another caribou herd - by Larry Powell. 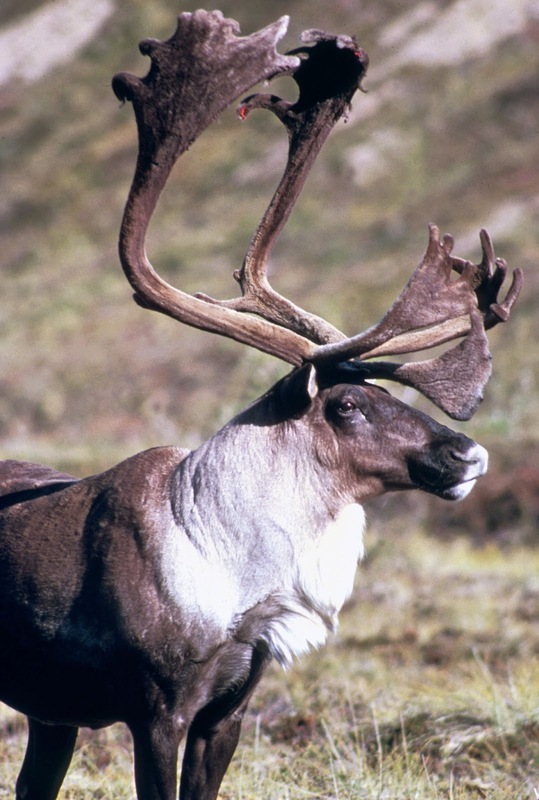 Proposed fossil fuel development threatens yet another caribou herd - by Larry Powell. Antlers of the barren ground caribou can be a meter tall. The majestic animals have traditionally provided food for subsistence hunters. According to the magazine Science, US politicians may be about to put the continent’s biggest and healthiest caribou herd at risk. That’s because a US Senate committee has just voted to allow drilling for oil in Alaska’s Arctic National Wildlife Refuge. 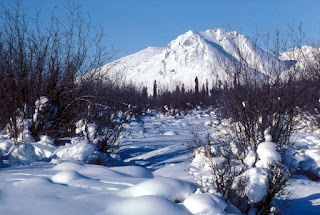 The coastal plain region of the sprawling refuge happens to be the calving grounds for the Porcupine caribou herd. Republicans supporting drilling say its footprint will be small. Environmental groups disagree, saying roads and pipelines will dissect the animals' habitat. A Canadian wildlife ecologist quoted in the story, Chris Johnson of the University of Northern BC (Prince George), says the consensus that industrial activity disturbs the animals is “pretty strong.” It has already been observed that caribou stay away from industrial activity, including diamond mines in Canada and will even move their calving grounds, as a result. It is estimated that the Porcupine herd may consist of as many as 200 thousand animals. US Republicans have been trying to open up the refuge to drilling for decades. UPDATE: The drilling WILL go ahead. The move was approved as part of Trump's tax bill, just passed in the US Senate. The hollow little men have prevailed.